Free Shipping Included! 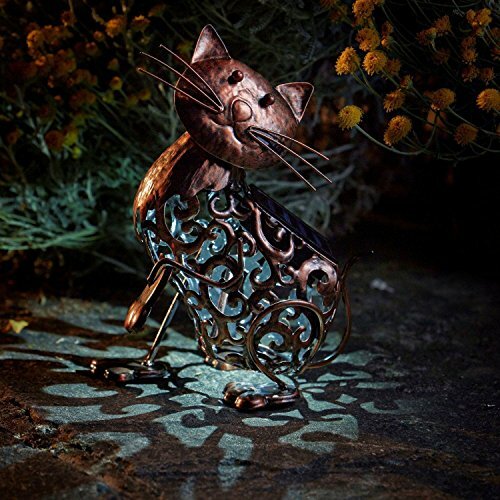 Smart Garden Outdoor Solar LED Garden Light Cat Design, Changing Colour … by Smart Garden at List It Fort Worth. MPN: 5050642007252. Hurry! Limited time offer. Offer valid only while supplies last. WARMING ABIENCE - This fun piece casts a fabulously intricate silhouette over any surface in your garden and creates a warming glow. CHANGING COLOUR - A solar-powered metal ornament from Smart Garden with beautiful scroll effect detailing, featuring one white and one colour-changing LED. SIZE - Approx size: Cat: H26cm x W13cm x D17.5cm / 10.2 x 5 x 7". If you have any questions about this product by Smart Garden, contact us by completing and submitting the form below. If you are looking for a specif part number, please include it with your message.